This drop-in acrylic 72 inch x 36 inch bathtub is part of Valley Acrylic's Signature Series and is a classic style that could fit into any bathrooms dicor. High gloss acrylic structure ensures the quality and durability. All of Valley's Signature Series products are manufactured in Mission, British Columbia, hence guaranteeing that these products are 100% made in Canada, and meets the excellent quality standards that are required by Canadian companies. Valley Acrylic, Acrylic skirted & drop-in bathtubs and shower bases are warrantied for residential use for a period of 20 years from the original purchase date, against any failure from improper manufacturing defects. The DreamLine Q-Wall Tub Backwall panels will transform the look of your bathtub quickly and easily. Our Backwall kits are a great alternative to expensive tile and will add a modern look with an attractive pattern and glass shelves. The Q-Wall Back walls are made of durable, easy to maintain acrylic and can be trimmed during installation to fit your bathtub space. Bisou is a contemporary style freestanding bathtub built from high gloss, crack resistant acrylic with a modified flattened top deck for a modern update. 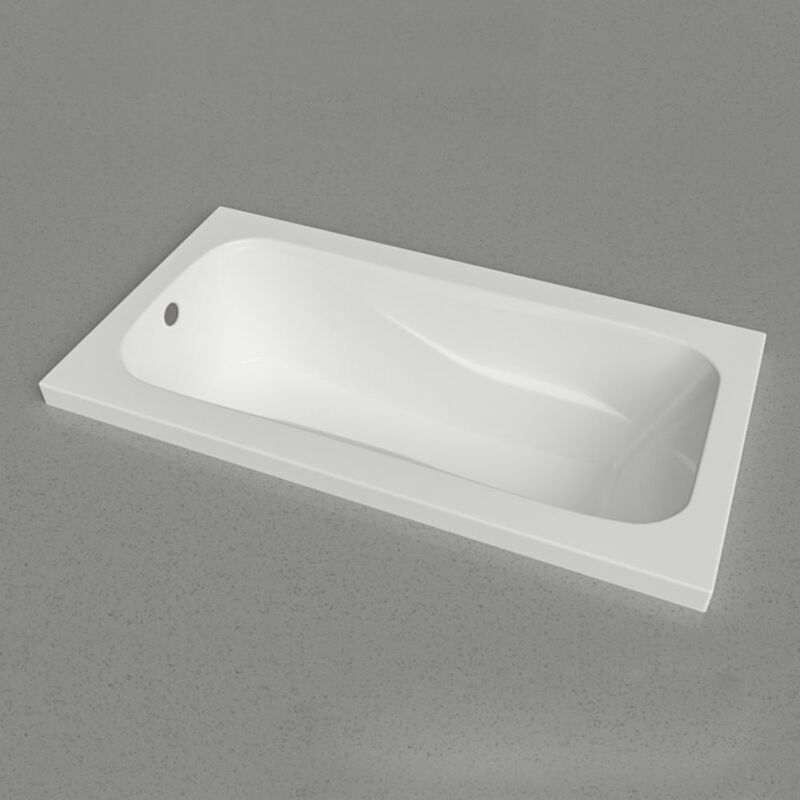 This tub features a new integral slotted overflow & pop up centre drain. Sol 72x36 Drop-In Tub This drop-in acrylic 72 inch x 36 inch bathtub is part of Valley Acrylic's Signature Series and is a classic style that could fit into any bathrooms dicor. High gloss acrylic structure ensures the quality and durability. All of Valley's Signature Series products are manufactured in Mission, British Columbia, hence guaranteeing that these products are 100% made in Canada, and meets the excellent quality standards that are required by Canadian companies.